Thirty-four lucky students moved into a recently renovated residence hall, formerly called Gilbert, now OSilas, named for trustee and alumna Olivia "Vicki" Ford and her husband, Si (Silas) of Bronxville. 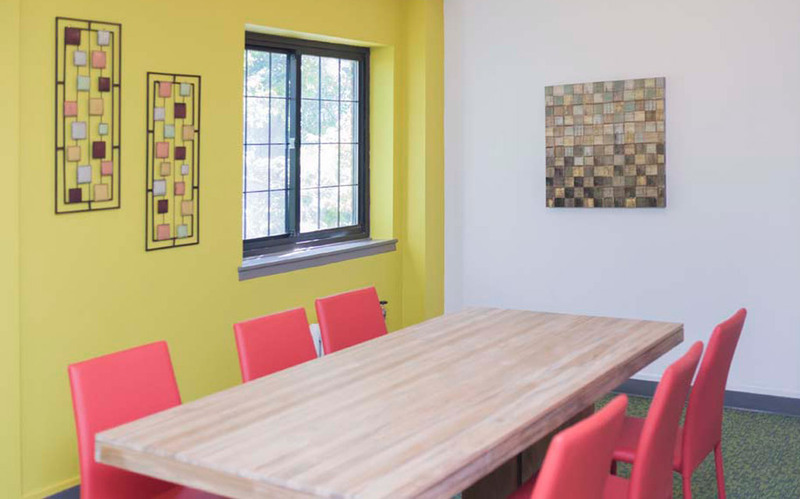 The couple donated a leadership gift to the College's Campaign for Sarah Lawrence to fund a 'top-to-bottom' renewal of one of the original College buildings in which Vicki lived during her years as an undergraduate. Construction of Gilbert was completed in 1928 just before the first students arrived at newly chartered Sarah Lawrence College. OSilas has opened just in time for students' arrival for the start of the College's 89th year. "I love that they've retained the nice, classic feel of an older building while still updating everything, says the mother of Lillie Rice '19, Christine Rice. "The study room is fantastic and modern. But as a building it still fits with the character of the old dorms and the campus." "Everything is brand new and decorated brilliantly," says resident Zingqi Lu '19. Chance Sevigny, '18 says: "It has a really great ambiance and was so well designed." "With this generous donation, Vicki Ford thoughtfully coupled the need to address pressing maintenance issues for one of the College's oldest and most beloved buildings with her own cherished memories as an undergraduate living in Gilbert," says Ellen Reynolds, interim vice president of Advancement. "To see a well-constructed building conserved to serve the present and the future, is a joy for me and my husband," says Vicki Ford.